Denny Hamlin made one of his best Dover Chase appearances yet this weekend with a solid 9th place finish that would allow him to hold his championship points lead. After a strong qualifying effort Denny started 4th in the 2nd Chase race of the season. Denny’s crew chief commented before the race that their problem tends to be that they can’t keep up with the race track at Dover. This would prove to be the case today, but the #11 Fed Ex crew minimized the damages and came out with a 9th place finish. 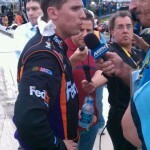 Towards the end of the race Denny was very frustrated on the radio due to an ill handling car. 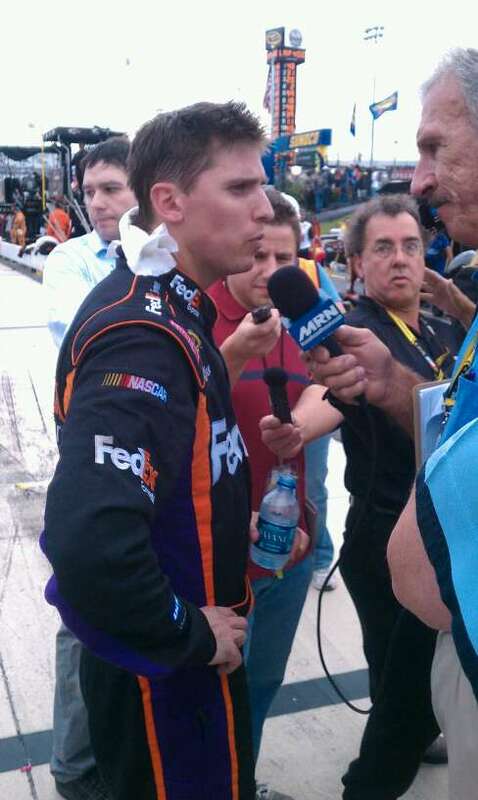 Hamlin’s goal for the day was 8th but ended up missing it by one spot. None the less Denny kept his composure and came out with his best Fall Chase finish yet. Denny leaves Dover with a 35 point lead over 2nd place Jimmie Johnson, the largest lead after the 2nd race in Chase History.